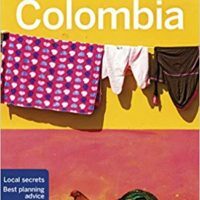 Are you a tourist traveling to Colombia? 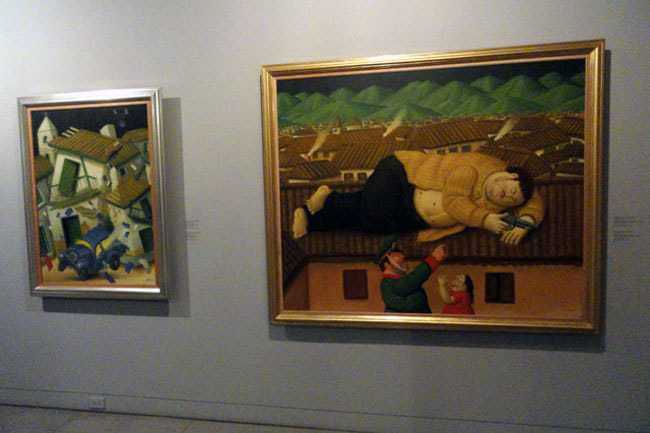 Then there is no doubt that the Medellin Pablo Escobar Tour is something that’s on your radar, maybe it is even something near the top of your list of things to do. If you’ve only ever seen the show Narcos, then it might seem like something kinda cool to do in Medellin. Like, maybe it will help you better understand the real history and see a small bit of the actual places where it all took place. But if for some reason you aren’t aware, despite the Netflix show, let’s make it clear that Pablo Escobar was a terrorist who ravaged Colombia and was responsible for the deaths of thousands, including randomly murdering police officers, along with plenty of innocent bystanders. Also, in case you didn’t know, many Colombians today are sick and tired of the whole Pablo Escobar thing and are a bit insulted that foreign tourists come flocking to the city and seem to venerate him in the process. Should You Take the Pablo Escobar Tour? I’ve spoken to many different Colombians and tourists about this matter while living in Colombia for a few years, and honestly, the answer should be a resounding NO. You as a foreign tourist should NOT come to this country and take a Medellin Pablo Escobar tour. – The whole terrorist thing. Many Colombians still live with memories of the bloodshed, bombs, and violence. This history is still very recent and there are still many open wounds. Tourists coming here almost solely to take the Medellin Pablo Escobar tour is only rubbing salt in that wound. He bombed airplanes, he assassinated politicians, journalists, police, and anyone who opposed him. – You’re enriching his accomplices and/or people trying to make money off his infamy. The most popular Medellin Pablo Escobar tour includes a visit with Roberto Escobar (Pablo’s brother) someone who was complicit and wanted for his role in the criminal activities. He had a bounty of $10,000,000 (dollars, not pesos) on his head, he served time in prison. At the end of this tour, tourists get the chance to have coffee with him, take big smiley selfies and ask inane questions in broken Spanish about life back in the day with Pablo and all their criminal misadventures. Look at how happy these tourists are to be hanging out with the criminal Roberto Escobar. They are even happier than Roberto, and he’s the one making money off the deal. Look, I’m a BIG fan of studying history, and visiting Auschwitz is something you should do… But a Pablo Escobar Tour is not like an Auschwitz tour. The closest (hypothetical) equivalent would be going to Germany and taking an Adolph Hitler Tour, where you get to visit his grave and take selfies, see the places he hid out, the location where he died, and then go and have coffee and kuchen with his brother where you again take big smiley photos and ask him questions in broken German about their crazy war criminal adventures back in the day. Then afterward you can even go buy a cool t-shirt with Hitler’s face on it, just like the El Patron shirts. Doesn’t sound quite so cool, does it? Even if that tour was possible and we ignore the decades that have passed, it would be very different because most of the victims of Hitler immediately left Germany for the U.S., Israel, or elsewhere, and would not have been confronted on a daily basis with shorts and flip-flop wearing foreigners who come to the country thanks to the popularity of the hit Netflix series War Crimes about the wacky hi-jinx of Hitler and the crew of Americans who eventually brought him down. 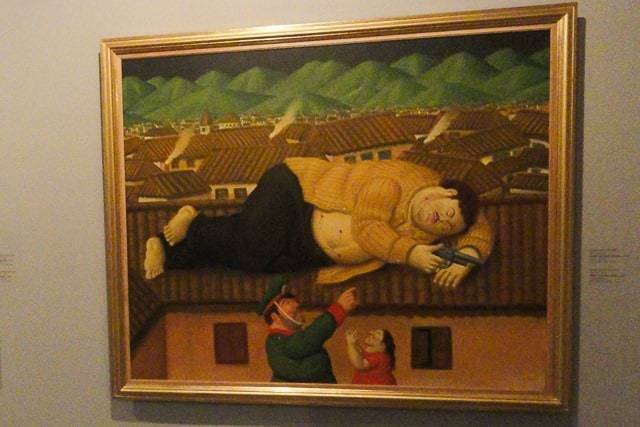 While it is true that there are some Colombians who do idolize him, mainly the poor and uneducated (and their offspring) who directly benefited thanks to him buying their loyalty with houses or other material goods, the majority of Colombians hate the man and everything he (still) represents. He left so much destruction in his wake and almost single-handedly destroyed the reputation of an entire country, even today, almost 25 years after his death. Think about your city, state, or country and try to recall the worst and most painful possible memory that has occurred there in recent years, and having that be the ONLY thing it is internationally known for (like Colombia), and then having tourists come from far away to pay money to seemingly celebrate that painful tragedy. Yeah, again, not so cool. For Americans, the closest sort of equivalent I can think of would be organized, for-profit tours for rich Saudis or other Arabs to come to New York City to learn all about the 9/11 attacks, visit the sites, and to seemingly celebrate the mastermind behind them. After all, Pablo is believed to be responsible for the deaths of at least 5,000 people, about the same as 9/11. You’ll be better off reading a book about the story of Pablo Escobar either before visiting Medellin or while you are in town. I’d recommend Killing Pablo by Mark Bowden, which is what the bulk of the storyline for Narcos is based on. I’ve included a few other books about Pablo by his family (but again, do you really want to enrich those people cashing in on Pablo’s infamy?) which could provide a rounded perspective of the good and bad. I mean, he obviously cared for his family (good) but he also had a blanket bounty on the murder of any police officer for $1,000 which resulted in the murder of more than 500 (bad). You never want to judge people, but I think it is safe to say that the bad definitely outweighs the good in Pablo’s case. This is recent history, so you can actually talk to many, many people in Medellin who were directly or indirectly affected by Pablo. People who heard the bombs going off, who remember the fear when loved ones went to work and wondering whether they would come back, people who actually lost loved ones, friends, or family. Those with the most direct memories would be those who are 40+ years old, though you can also talk to younger generations who are more likely to have a glorified image of him (they don’t remember the bad times, just the often glorified media narrative), so you can get a different perspective. 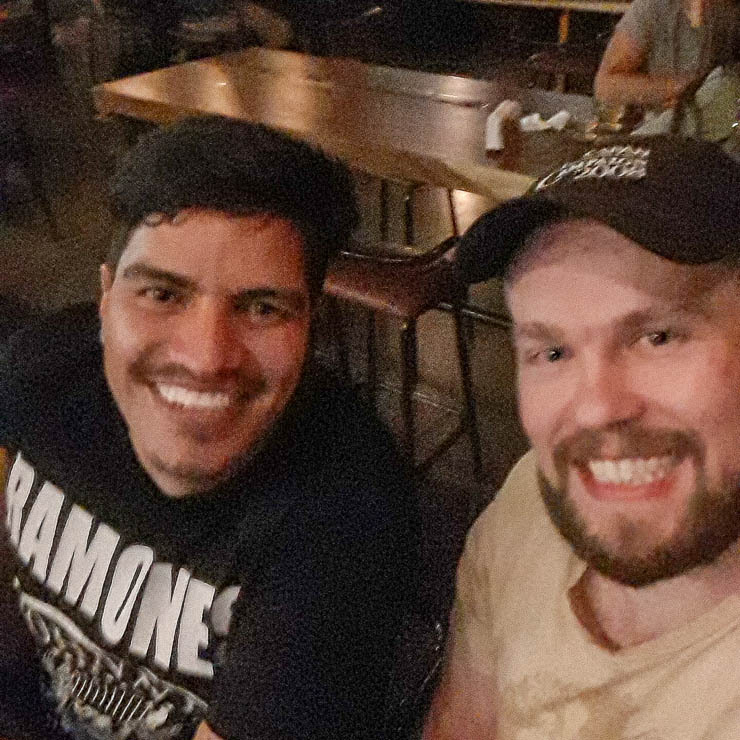 Your Spanish will need to be decent though, here are my favorite resources to teach yourself Spanish, and my personal recommendations for where to learn Spanish in Medellin. Most Medellin Pablo Escobar Tours will tell the history in general strokes, but the main focus is obviously visiting the sites related to Pablo and telling anecdotal things. You can easily visit most of these locations on your own, with no need to go on an organized tour, if you think doing so will somehow enrich your knowledge and understanding. The DIY version is the best Pablo Escobar tour, in my opinion. 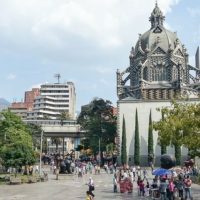 The main locations visited on a tour include the house where Pablo Escobar was killed, his gravesite, and the Monaco Building (now demolished), but they may also include La Catedral which is outside of Medellin. Most tours do not include a visit to Barrio Pablo Escobar, which is the one place in the city where Pablo is still openly celebrated… It’s important to know that that name is not an official name. 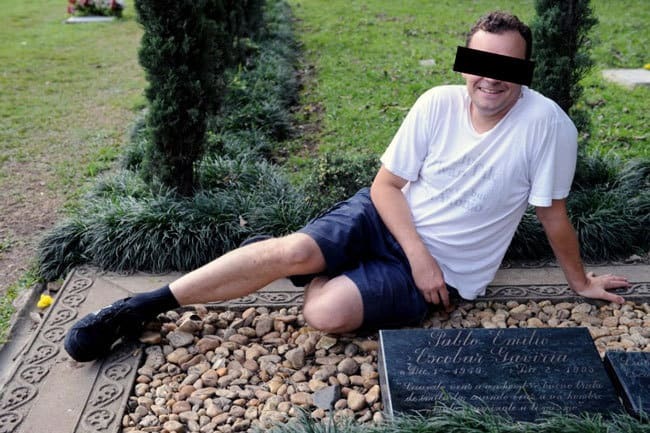 The grave of Pablo Escobar is located in Itagui, which is south of Medellin. It has become a tourist attraction, unfortunately, where it is not uncommon to see flowers left behind or even other more absurd things by people, like when the rapper Wiz Khalifa came to town. These actions are precisely what lead local people to believe that foreign tourists are idolizing this man and what causes so much pain. The grave is in Cemetario Jardines Montesacro and can be reached from the Sabaneta Metro Station and a short 10-minute walk. I’ve never been, and don’t really see the point. But if you do go, show respect for the victims and for Colombians. Pablo was not like Michael Corleone, Al Capone, or Tony Montana, and what he did was on a scale unlike anything during the Prohibition years or in the minds of Hollywood. If you go, go ahead and spit on his grave… Who cares? The guy was a monster. He deserves zero respect. In Los Olivos near the neighborhood of Laureles, you can find the house where Pablo spent his last days hiding out from the police, and where he was ultimately gunned down on a rooftop as he fled. The address where Pablo Escobar was killed is Carrera 79B #45D-94, and is easily accessible if you go to the Estadio or Santa Lucia metro station. I lived a few blocks from here actually, and one day I finally did pass by the house after living in Colombia for nearly a year. There is nothing special about it, but you can pass by and see for yourself if you like. The Monaco Building was located in El Poblado, just south of the Santafe Mall. 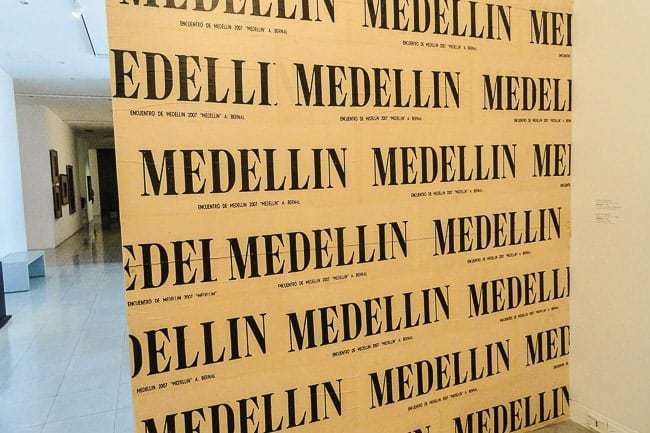 The mayor of Medellin is vehemently against the growing Pablo Escobar tourism sector and he championed the demolition of the Monaco Building which happened in February 2019 since it had become a symbol of illegal activities built off of pain and violence. Escobar owned many properties throughout Colombia, among them was the relatively non-descript Monaco Building. Most famously, it was here in 1988 when Pablo’s enemies set off two bombs, one of which injured his young daughter’s ear, and the second of which destroyed Pablo’s cars. This poor barrio is pretty much like every other poor barrio in Medellin, except for the fact that they have dubbed themselves “Barrio Pablo Escobar” an unofficial name for the area. Here they actually openly celebrate Pablo with street art of his likeness or his name plastered on various places. It was places like this where Pablo Escobar bought the loyalty of poor locals by investing his drug money into the area with housing, schools, and other material goods. This was how he cultivated the Robin Hood image, but let’s not pretend it was altruistic… It was these same poor residents who became foot soldiers for Pablo and took action for things like that blanket bounty on the murder of any police officer. This neighborhood is located on the hills above Buenos Aires (directly south) just behind the San Diego shopping mall, basically. The Cathedral or La Catedral is the prison Pablo constructed for himself with his own guards, in other words, his private mountainside escape to serve out his sentence. Yes, he was that wealthy and thus that influential. Since 2007, the location has been in the hands of Benedectine monks due to its location away from the city of Medellin which makes it ideal for meditation and religious reflection. Hacienda Napoles was one of Pablo’s main ranches, a place where he imported animals from Africa in order to turn it into a giant African safari, essentially. Most notably, he imported hippopotamuses, which escaped the property following his death and were able to adapt in the local river, not only surviving but thriving, with numbers in the hundreds now. These so-called cocaine hippos are a strange legacy today of the wealth of Pablo, surviving half a world away from their natural habitat. In the remains of Pablo’s old house, there is also a museum which tells of the atrocities committed by the cartel. This location is not on the normal Medellin Pablo Escobar Tour circuit, simply because it is so far away from Medellin, but it is a place that I believe best tells the story and does so in a way that does not celebrate the man, nor enrich people involved in the horrors. You can also couple this visit with a stop at the lovely Rio Claro Nature Reserve. 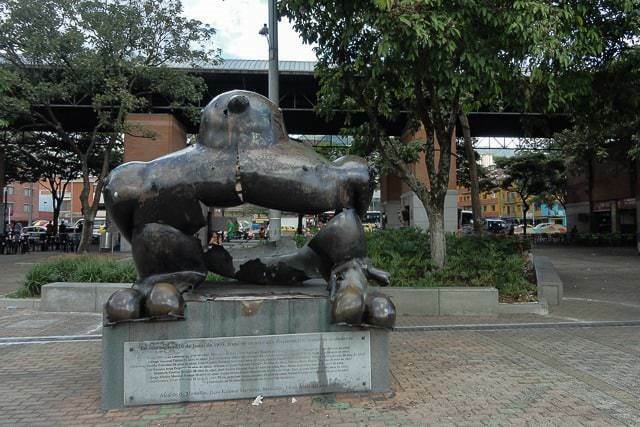 Check out a few of the other Medellin tours that I recommend, rather than the Pablo tour. The history and story of Pablo Escobar are undeniably fascinating… How he was able to come from nothing, dominate an entire country, and become the seventh richest man in the world, before running into hiding and being gunned down on a rooftop. But honestly, you should skip the Medellin Pablo Escobar tour for all the reasons we discussed. 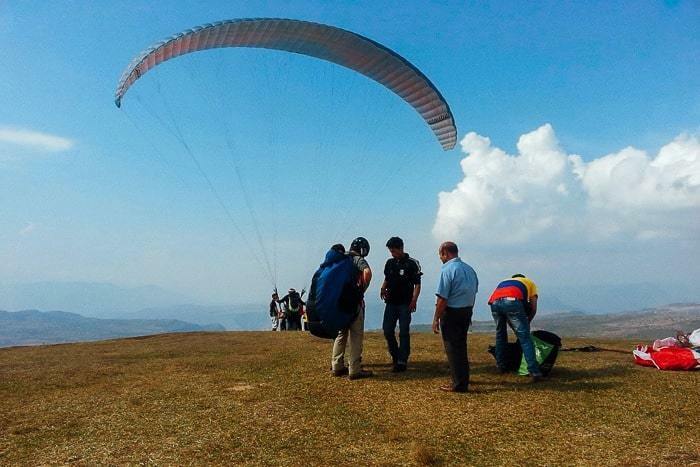 Colombia is a special place and it deserves your respect as a tourist. 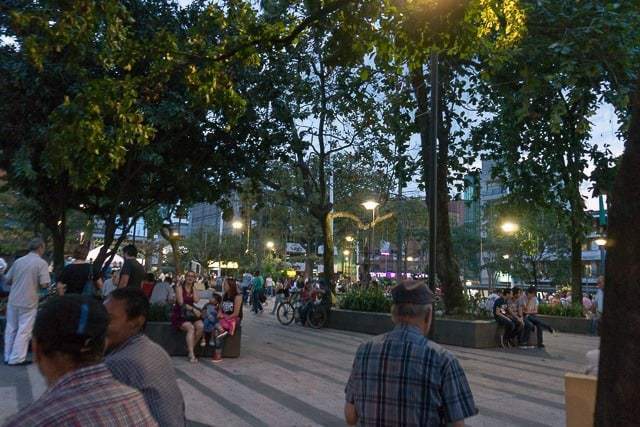 I’d recommend to just head up to Hacienda Napoles if you’re really interested, and then maybe visit a few of the sites within Medellin, if you remain curious. 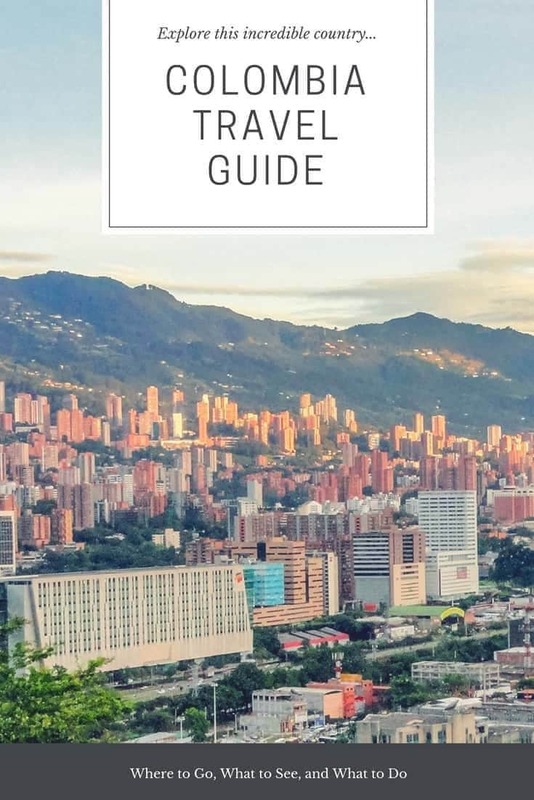 Although be warned that there really isn’t anything to actually see at those places in Medellin, but there are a ton of other awesome things to see and do in Medellin. 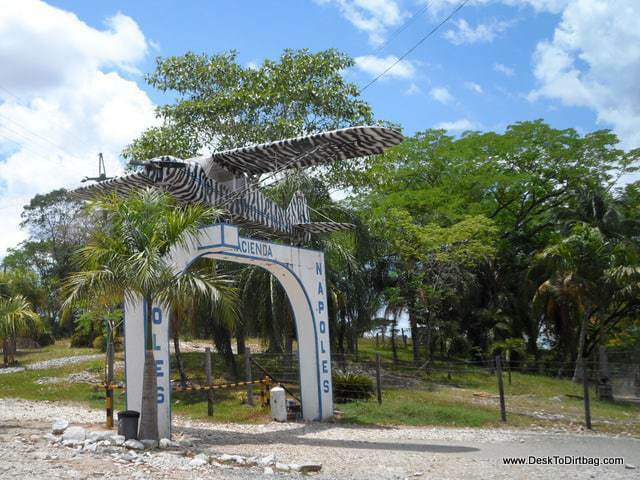 Did you enjoy this post about the Pablo Escobar tours? Please take a moment to share it on Pinterest, Facebook, or Twitter. This is an absolutely idiotic article. You should absolutely take Pablo Escobar tour when in Medellin to learn the history from the locals rather than stupid shows like “Narco”. I’m from Poland and people take Holocaust tours and WW2 tours to learn about the atrocities and how it affects people until today even many years later. 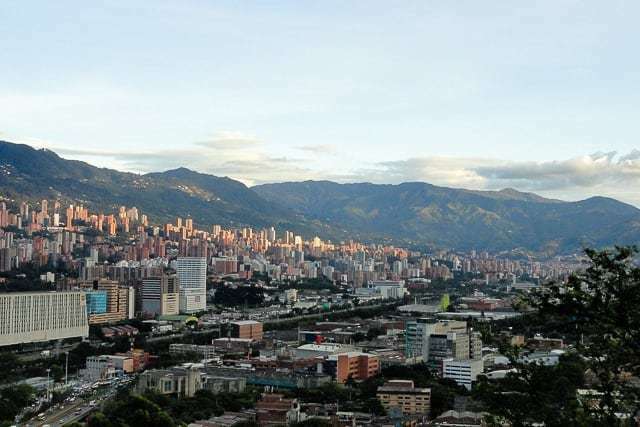 Medellin is building a new future but it should not forget nor ignore it’s past. There is plenty of dumb tourists but there’s more of those who want to know and learn. Every tour the people will take in the city will touch on Escobar. 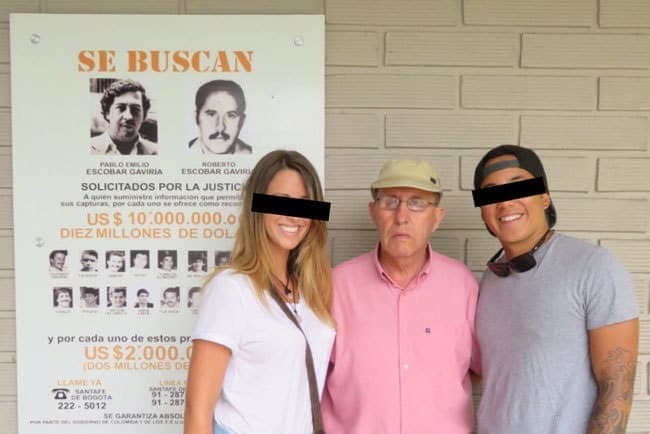 You didn’t even read the article, yet you’re leaving a comment… Yes, people take Holocaust tours, but nobody takes Hitler tours like those going on Escobar tours here in Medellin. 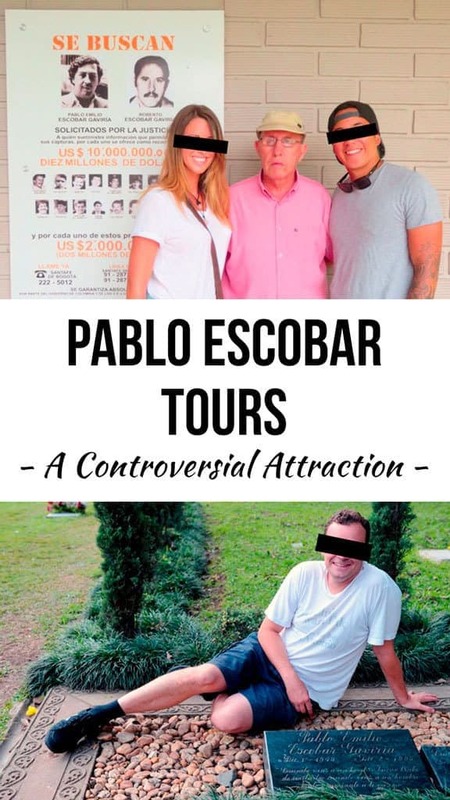 You should absolutely NOT take a Pablo Escobar tour when in Medellin for all the detailed reasons I gave in the article — you can learn about the history from locals without a tour trying to profit off his name. 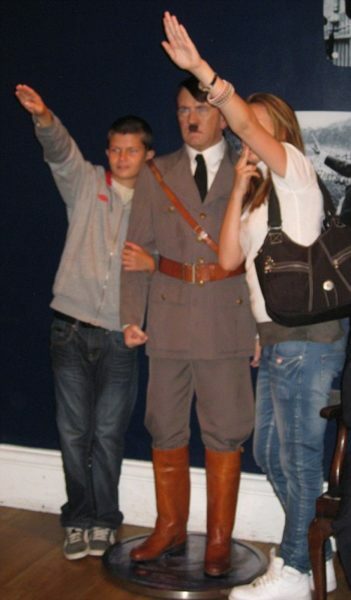 But maybe you’re the type of person that would go on a Hitler tour…? Great article, I’m really happy about it, because most of the article I read were evasive about this controversy. There one tour about this topic and more worth doing: Heroes Tour – Colombia vs Escobar, it’s in Bogota though. Why? Because this tour is no apology of him, hasn’t being created by ex narcos, doesn’t walk to controversial places…The tour is about recent history, about his impact on the destiny of the country, it walks by famous national institutions in Bogota, and their approach seemsobjective,based on facts by amazing guides who studied political sciences, they debunked lots of clichés or common ideas. It’s the most informative tour I did in Colombia, the favourite of my travel in South America, because I learned so much!